Google Nexus 6 2014 Edition has been officially launched with some stunning and vigorous specifications. The new Nexus6 features 5.96 inch 2560 x1440 pixels QHD AMOLED DISPLAY with 493 ppi ( pixels per inch ) & 16:9 aspect ratio. The display has Gorilla Glass 3 protection to prevent any sort of scratches. 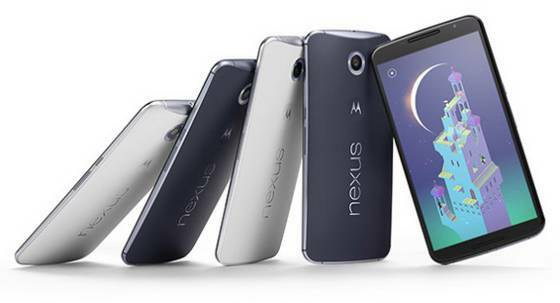 Nexus-6 is the world’s first Android smartphone that runs on Android 5.0 Lollipop. Google has also launched the HTC made Nexus 9. 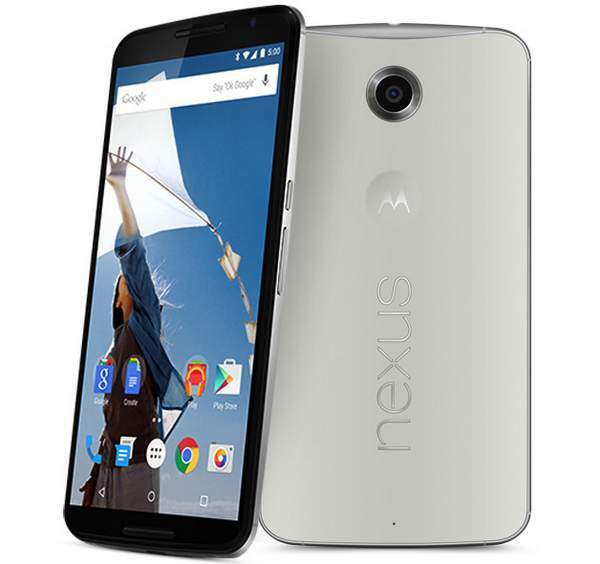 The new Nexus 6 is manufactured by Motorola. It gains the strength from 2.7GHz Quad core CPU ( Qualcomm Snapdragon 805 SOC 32-bit) integrated with Adreno 420 GPU. Apart from the 6 inch display there are other robust features that will enhance the user experience. The Nexus Six 2014 edition s accomplished with 13MP main shooter with Dual Led flash and a 2MP front camera. The 13-megapixel camera has f/2.0 aperture which ensures good performance even in low light and enough blur in the background. The Google / Motorola Nexus 6 is capable of recording 4K videos at 30fps. It has 10.06mm thickness and weighs about 184 grams. 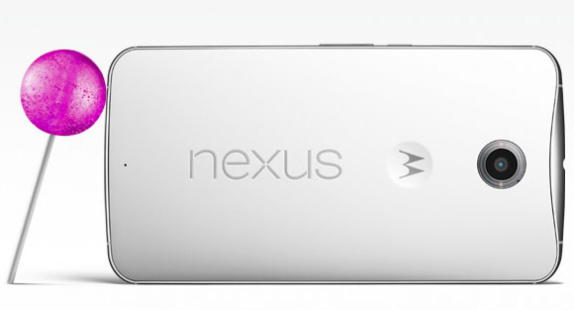 The new Nexus6 gets dual front -facing speakers. It has Bluetooth 4.1, 3G, 4G LTE, NFC, WiFi 802.11 ac 2×2 MIMO, micro USB 2.0 with USB OTG and Fm radio connectivity. The smartphone is powered by massive 3220mAh battery that offers 250 hors of standby time, up to 9.5 hours of internet usage on WiFi / 10 hours on LTE , 10hrs of video playback, and up to 24 hours of talk time. The Nexus 6 offers 6 hours of battery backup on 15 minutes of charging. Talking about the storage there are two options for Internal storage : 32GB variant and 64GB model. For multitasking , benchmarks and smooth game play there is 3GB of memory. It has GPS, Accelerometer, Gyroscope, Magnetometer, Ambient Light Sensor and barometer sensors. The new Google 6 is better in all aspects only the CPU is 32BIT. The Lg G3, OnePlus One & Sony Xperia Z2a has 3GB RAM and all are capable of recording 4K videos. All of these runs on Android 4.4 Kitkat OS, they would soon get Android 5 Firmware / Software update. The G3 has 5.5 screen size which results in more ppi : 534ppi. Nexus 6 has more battery capacity than all of its competitors. Sony Xperia z2a has 20.7MP camera but 1080p FHD display and 2.3GHz Snapdragon 801 processor. Nexus 5 supports FHD and has 8MP camera. The Nexus 6 2014 edition will be on pre-order before next month from Google Play store, T-mobile, AT&T ATT, Verizon, US cellular and Sprint. It is priced at $649 in the US for 32GB SIM-Free version( RS 45000 expected price in India) . In Europe the 32GB & 64GB variants will cost you €569 and €649 respectively. Motorola has confirmed that the Nexus6 will roll in more than 28 countries including Europe, Asia-Pacific, China, Japan, Philippines, UK and North America starting later this year. Hello Ganesh, Yes, you can make video calls with Nexus 6.